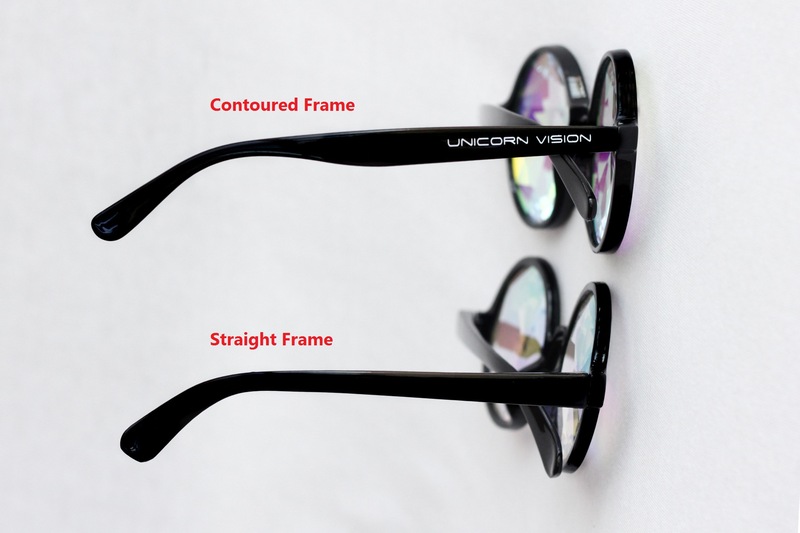 Unicorn Vision is the standout choice when it comes to rave eyewear. 1. 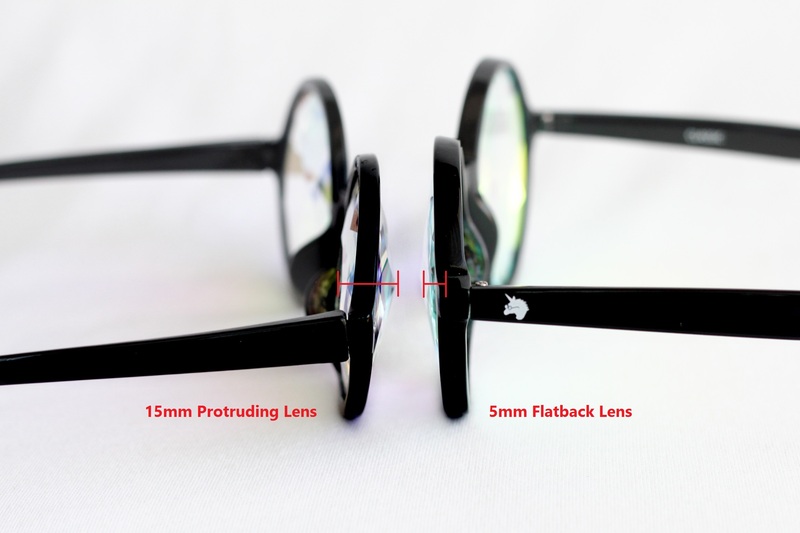 Flatback lenses on all our models - 3x thinner than most competitors! 2. Contoured frames hold your glasses in place while you dance the night away! A straight frame will slide around with the slightest movement. 3. 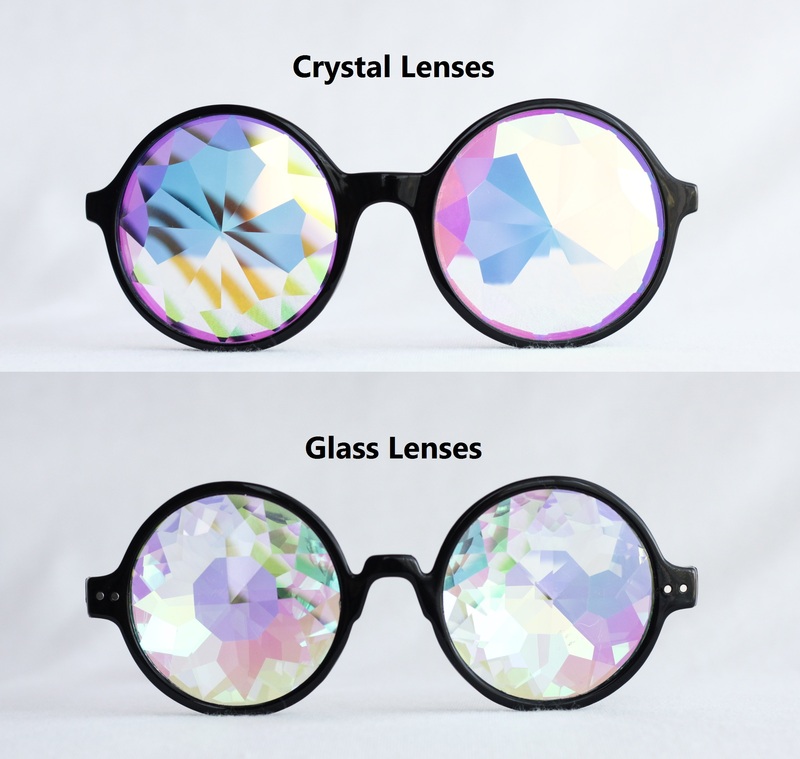 Real crystal lenses deviver crisp, clear vision - these are the new diffraction glasses! As the name suggests, our glasses are designed to be worn at raves, music festivals, or night clubs to enhance the laser and light productions. Not only will they enhance your party experience, they also look fantastic. When wearing our rave glasses, you'll experience mind-blowing distorted vision. Therefore we strongly recommend that you move cautiously or dance within a limited area. DO NOT drive or participate in dangerous activities. Remember to take your glasses off every now and then to rest your eyes. It's also a good opportunity to give them to that cutie you've been checking out all night to try!